Strange and dangerous though its world might be, I was fascinated to be back in the technologically advanced, genetically enhanced, climate challenged future Manchester that Anne Charnock first explored in A Calculated Life. In that book the main character is Jayna, a simulant or lab created human who has been completely bio-engineered to have beyond genius level intelligence so she can process huge amounts of data for her employer, but in this novella we get a look at lives on the far other end of the human spectrum. Caleb and Lexie have both been deemed unworthy for the cognitive implants that most natural born people receive to enhance their abilities. 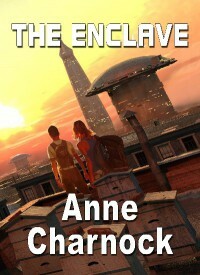 They eke out a living in the Enclave, a violent, gritty slum community far from Manchester’s hub. With a nod to current events, Caleb is a young illegal immigrant who had to flee Spain when climate change rendered his home virtually unlivable. Caleb and Lexie work together, but though they have a stronger bond than normally found in subordinate-boss relationships, the nature of their reality makes it hard for them to trust anyone. Charnock writes what I think of as science fiction for grownups, stories in which realistic (if often futuristic) characters and thought-filled themes are as important as her high tension plots. 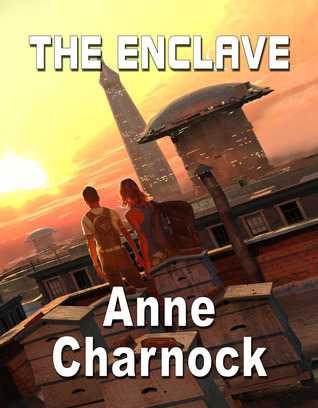 While The Enclave isn’t exactly a sequel to A Calculated Life, those who’ve read the first book will recognize Jayna and her coworker Dave in a brief encounter they have with the characters in this novella. Even Dave’s bees make an appearance. One thing left to explore in this world is the lives of the elite--the natural born (not lab created) humans who have been equipped with cognitive implants. They have best jobs and the nicest homes, but I wonder how life in this tenuous world would feel to one of them. 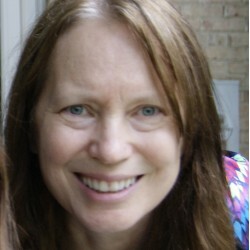 I received a complimentary copy of The Enclave from the author, with no obligation to write a review. Review opinions are mine.